Disco is an archetypal sound horn which is in the family of ‘his master’s voice. It is a striking, sculptural device allows you to be a DJ. You can place your own mobile phone in a round socket and the sound will be enhanced by acoustic horn. Under the sound horn there’s a rubber dancing floor where you can hear the music of the cell phone loud enough to dance to. This with a few friends or unknown passersby. 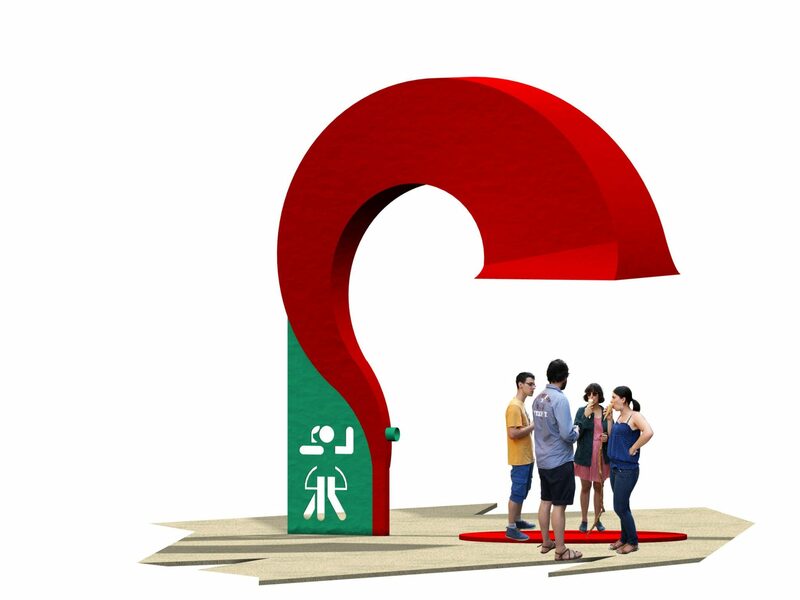 It is a welcoming, positive and catchy intervention in the public space of the Artwalk in Miami. DISCO is a tiny dance events in Public Space. It is about unorganized spontaneity, a gathering of a small number of people for a tiny dance event. The sound that is produced is not reinforced by electric amplifiers. The whole will be enhanced by the acoustic properties of the sound horn and can thus not cause a nuisance.